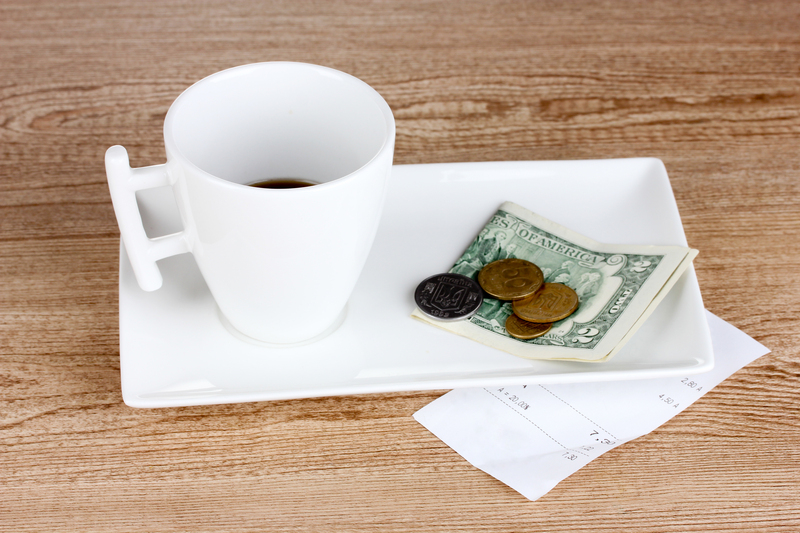 Tipping is much more prevalent in the US than in Europe; the amount/percentage is also greater - 15 to 20 per cent, whereas in Europe it’s 10 to 15 per cent. To the Americans, so used to tipping, it’s like adding on sales tax. We Indians are poor tippers but that’s mostly due to our thinking that it’s an unfair practice. In many cases it is, but we should realize that most waiters and workers in the hospitality services are not even paid the bare minimum salary but expected to supplement their income from tips. So tips are expected and not tipping in the US is considered on par with slapping a person in the face. Airport porters get $1 to $2 per bag. If a hotel worker collects you from the airport, give him $10 to $15. Some taxis display “default tipping”. This can be from 20 to 25 per cent, sometimes even 30 per cent which feels excessive. So don’t go for it, tip 10 to 15 per cent. If you happen to rent a car, parking might involve a valet so expect to tip $3 to $5 upon pick-up. On arriving at the hotel, if someone carries your bags, tip $2 to $3 per bag. If a concierge performs some service for you, tip him $10 to $20 depending on the effort he made for you. Room service staff also expects their due. Leaving a $2 - $5 on the pillow will ensure that they will be extra diligent in cleaning your room. Room service or in-room dining bill can include a tip but if it says ‘service charge’ then that amount goes to the hotel. So tip the server 15 to 20 per cent. In a modest diner or eatery 15 – 20 percent is expected. In cities like New York or San Francisco, if the tip is less than 15 percent, the staff will assume that you were not happy with the service. Remember, it’s never ok to not tip. If you are not happy with the service, complain to the management. In a bar always tip a bartender a dollar for every drink. Bigger tips could also mean stronger cocktails. 15 percent is an acceptable amount for a hair dresser, massage therapist, tour guide or anyone providing a service. It’s usually a good idea to carry a small amount of cash for cab rides or to grab a quick bite. Most of your travel expenses in the US can be taken care of through a multicurrency forex card. You could just place your order on BuyForex.com and have your forex delivered to your door step for free. Forex cards are safer than cash to carry since they are Chip and Pin enabled and take up less space.